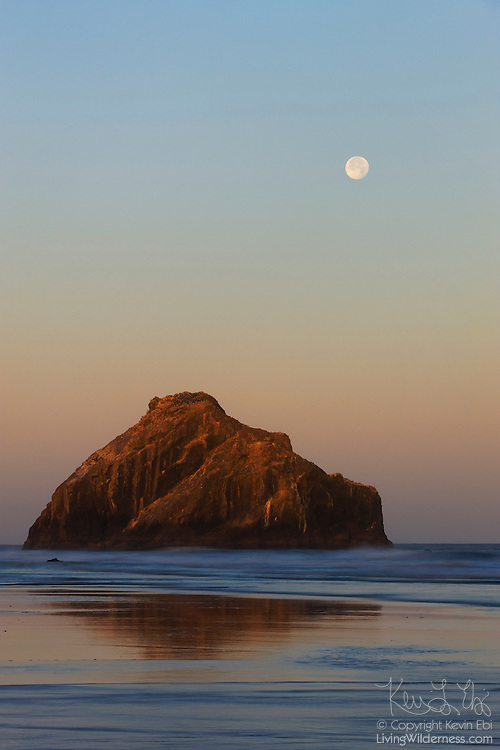 Face Rock, located on the Oregon coast at Bandon, appears to gaze at the full moon. According to Native American legend, the face belongs to the beautiful Indian princess Ewanua. While several tribes gathered nearby to celebrate, she wandered to the sea inhabited by Seatka, the evil spirit of the ocean. He turned her to stone whlie she stared at the moon.